Once you have listened to acclaimed vocalist, composer and arranger Alicia Olatuja (A-LEE-see-ah Oh-la-TU-ja), you won’t soon forget her. Alicia was first introduced to most of America in January of 2013, when her vocal excellence stunned a global audience of millions during the second inauguration ceremony for President Barack Obama. That may have been the first time folks heard her, but fortunately it wasn’t the last. 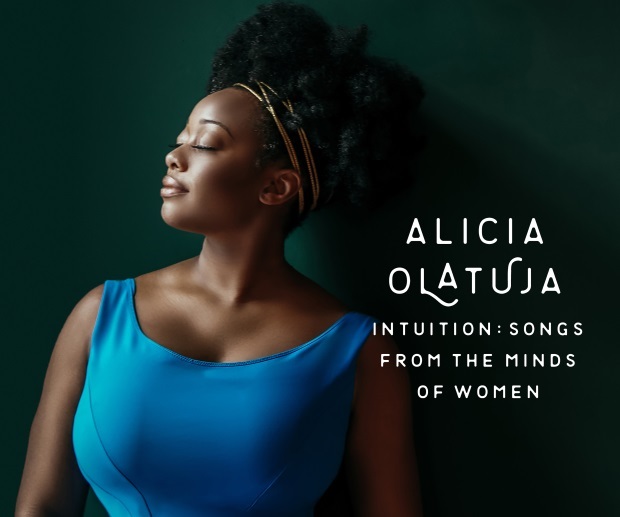 Alicia’s full glory has now been revealed with her release of Intuition: Songs From The Minds of Women, an amazing compilation focusing on the rich contributions of expressions by esteemed female composers. 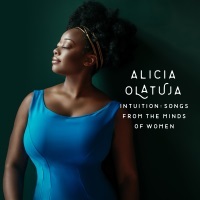 Alicia Olatuja is perfectly suited to deliver a meditation on the depth of women’s musical expression. She puts her distinctively soulful stamp on every track, giving beloved South American anthem “Grácias A La Vida” by Violeta Parra a funky update with Memphis-style horns while acing the Spanish lyrics; building bridges to the Motherland with African choruses on Angela Bofill’s “Under The Moon And Over The Sky,” and adding a Caribbean jump-up beat to the Linda Creed co-composition “People Make the World Go Round.” Her creative approach also reimagines Brenda Russell’s “So Good, So Right,” the focus track Sade Adu’s “No Ordinary Love,” Joni Mitchell’s “Cherokee Louise,” Tracy Chapman’s “Give Me One Reason,” Kate Bush’s “This Woman’s Work,” and Imogen Heap’s “Hide And Seek.” The set includes an original tune by Alicia, as well as compositions by a new composer and an Australian colleague. No matter how you look at it, this is an important addition to 2019. We’re proud to present Intuition as our SoulTracks Album of the Month. Check it out below; you may find a new favorite singer.